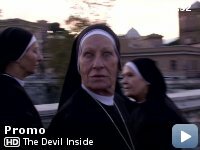 In Italy, a woman becomes involved in a series of unauthorized exorcisms during her mission to discover what happened to her mother, who allegedly murdered three people during her own exorcism. Taglines: No soul is safe. The little faux-docu horror film that could. Few people realize just how much effect a film's release date can have on its reception. Sometimes it can be a matter of months, sometimes even years. Every once in a while a film comes out that manages to fit into the current zeitgeist in entertainment perfectly. Unfortunately, some of those films, though not without their merits, miss the mark by a few years. If this film came out 10 years ago, I don't believe it would have gotten a fraction of the wrath it's been getting. Alas, it's 2012 and the "found footage," aka Blair Witch-esque faux-documentary style is old news. What with garbage like the August Underground films, to the infinitely more successful Cloverfield and nauseatingly overrated Paranormal Activity films, TDI at this point in time just seems like another attempt to cash in on the cinema verite gimmick. Don't let the vehement negativity fool you. This movie is certainly worth a look. Sure its not without it's problems. There are several plot/story elements that are abandoned almost as quickly as they are introduced. This in an incredible waste of several opportunities to take the story in a more interesting direction. The result is a very uneven narrative. One that seems unsure as to who the audience for this movie is. Is it for a more mature "thinking" audience interested in a supernatural/psychological thriller? Or, is it for teenyboppers who never fail to jump high for the most inane jump scare? Another problem is the effect of the Cinema Verite aesthetic on the dramatic tone. Great dramatic construction is the fundamental core of filmmaking. Camera-work and editing are two highly effective ways to generate atmosphere and mood. The problem with most "found footage" films is that the filmmakers are incredibly limited as to what they can do as far as camera placement, lest they break the "it's real" charade. 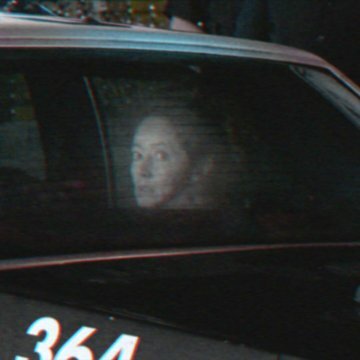 They too often rely on the "realistic" look of the footage to keep the audience interested. This in itself doesn't work. Sure, it might look like a "real" documentary or even home movie, but so what. "Real" does not always translate well to cinema. Cinema is not real. The end result is that some of the more character driven scenes in TDI fall flat. This is the film's biggest flaw, and one especially deadly given the all-time high in contemporary audiences' ADD. This no doubt accounts for why many consider it boring. But you can't tell me it doesn't motor along better than The Last Exorcism, Paranormal Activity or even The Exorcism of Emily Rose. Nor is it as hokey. The nightmare imagery in TDI is one of the film's strongest points. 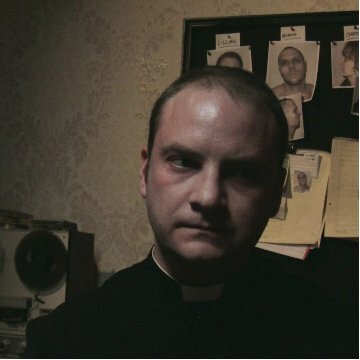 The exorcism scenes have a furious intensity that I wouldn't hesitate to compare with scenes in The Excorsist. Heresy, I know. Shoot me. With regards to the ending, I've certainly seen worse (Shyamalan anyone?). Although there is much to criticize in TDI, it strikes me as odd that it should be receiving so much scathing while far inferior films get the praises. It starts out strong enough with the chilling 911 call, and a grizzly tour of the crime scene. This effective intro and the equally effective scene's involving the possessed/exorcisms are what really make the film worth while. The performances are solid across the board, with Suzan Crowley being the real stand out. It's a shame her Character wasn't featured more. Rather specifically, it's a shame the film didn't actually focus on her the way the trailer and synopsis suggested. It's also a shame that she most likely won't get the recognition she deserves for her performance. A crying shame that her talent wasn't in service of a better film. Ever since the astronomical financial success of The Blair Witch Project, and recently with the smash hit that was Paranormal Activity, the studios have their mouths watering for that shoestring budget meal ticket that'll smash the box office. The "found footage" gimmick is enticing to them because it allows film's to be made relatively dirt cheap and (hopefully) rake in as big a profit as the aforementioned giants. 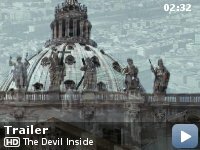 And The Devil Inside is certainly doing well at the Box Office, for now. Still, it's strange, and unfair, that such a decent flick is getting dumped on by critics and reviewers the world over. Sure it's no Exorcist, but it's no Alone in the Dark either. And for me, it's the first time in a long time that I didn't feel like I wasted $11. 6 1/2 out of 10.